Posted on May 2, 2016 at 11:00 am. Though I try hard to keep my blog posts to a small-coffee-length, I quickly learned during my research on Lyme that to talk about the disease without acknowledging its controversial history is a waste of time. If you want to know about Lyme disease with any intimacy, you must understand its complexity as a diagnosis, as a disease, and as an organism. The more people who can hold a nuanced discussion about Lyme disease, the better off we’ll be. In the world of medicine, there’s nary two words uttered that stir a stronger response than Lyme disease, especially here on the East Coast. Unfortunately, reactions typically include confusion, distrust, fear, and frustration, especially if the conversation turns to chronic Lyme disease (chronic Lyme disease is considered a constellation of persistent symptoms in patients with or without evidence of B. burgdorferi infection). While there is (some) agreement on the optimal treatment for early localized Lyme disease, there is considerable controversy over the existence, prevalence, diagnostic criteria, and treatment of chronic Lyme disease. Sadly, this controversy isn’t contained to backyard chats over black bean burgers and strawberry lemonade, but rages within the field of medicine and divides patients and practitioners alike. Worst of all, it makes it difficult for patients to get guidance from their primary care practitioner if they suspect they’ve contracted Lyme and/or a co-infection, or worse, wonder if they are suffering from chronic Lyme. It’s a discouraging fact: Many health care practitioners are misinformed about the presentation and treatment of both acute and chronic Lyme, and because of this, patients suffer. But there’s a reason for this misunderstanding. And it’s very, very complex. In fact, it took me over 100 hours of research (journal articles, books, podcasts, blog posts, and talking to other practitioners) to get a handle on the information and to figure out where I stood in the debate. I dreamed about spirochetes, drove to work listening to people tell their personal stories of Lyme disease, and listened to interviews with experts who vehemently disagreed with one another. The term “Lyme Wars” is…appropriate. There is little consensus even when it comes to diagnosing Lyme. The the one sure diagnostic sign, the presentation of erythema migrans, also known as a bulls-eye rash, DOES NOT always appear in an infected patient. In fact, according to the International Lyme and Associated Diseases Society (ILADS), fewer than 50% of patients with Lyme disease recall any rash at all. Beyond that, some get atypical forms of this rash, but because it’s not the bulls-eye rash, it’s overlooked. In other words, lots and lots of people who have been infected with Lyme disease go un-diagnosed, as they never visit the doctor. 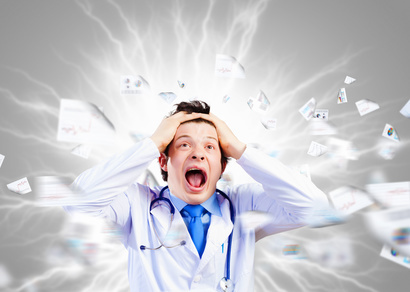 And some, feeling unwell, do see their primary care practitioner, and are also misdiagnosed. The black-legged tick. The most common vector for Lyme disease. I’ve learned to be cautious about oversimplifying the presentation of acute Lyme disease (also known as “early Lyme”). See here for a list of these signs and symptoms (I’m including this link knowing that many people will default to the CDC when searching for information on Lyme disease). See here for an even better list. So, why does all of this controversy exist? In the past couple of decades, two opposing views have surfaced in treating tick-borne illness. The Infectious Diseases Society of America (IDSA), maintains that Lyme disease can be treated with a short course of antibiotics and that persistent infection is rare or non-existent. In their view, Lyme is hard to catch and easy to cure. Practitioners who follow the IDSA guidelines reject the term “chronic Lyme,” and argue that without biological proof (a positive blood test or the telltale skin rash) the symptoms of “chronic Lyme” are too diverse and too vague. Some speculate that the lingering symptoms could be an autoimmune response to the original infection, or the result of damage to tissues from the original infection. The preferred term for these persistent or lingering symptoms after antibiotic treatment is post-treatment Lyme disease syndrome (PTLDS). The opposing view comes from the International Lyme and Associated Diseases Society (ILADS). They argue that Lyme disease is an under-reported and growing problem that often fails to respond to standard antibiotic therapy, resulting in a chronic debilitating infection that requires prolonged antibiotic treatment. The disease is caused by a spiral-shaped bacteria (spirochete) called Borrelia burgdorferi. The Lyme spirochete can cause infection of multiple organs and produce a wide range of symptoms. Case reports in the medical literature document the protean manifestations of Lyme disease, and familiarity with its varied presentations is key to recognizing disseminated disease. The debate over chronic Lyme has been raging since the mid-70s, when a cluster of cases originally suspected to be juvenile rheumatoid arthritis was identified in three towns in Connecticut, including the towns Lyme and Old Lyme (hence the name “Lyme disease”). To note: What we know as “Lyme disease” has existed for much longer; it’s suspected that the first detailed account of what is now known as Lyme disease appeared in 1764 in the writings of Reverend Dr John Walker after a visit to Deer Island off the west coast of Scotland. 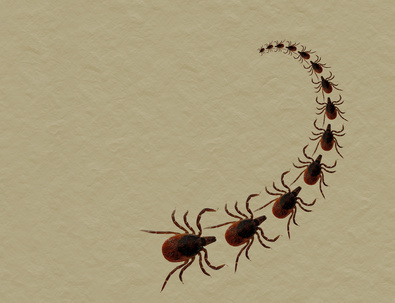 Beyond this, practitioners of Chinese Medicine have been writing about Lyme for even longer. More on that later. Wait, what? You think you might have chronic Lyme disease? Aghhhhh!!!! The debate peaked in 2006, when the Attorney General of Connecticut, Richard Blumenthal (now a Connecticut Senator) initiated an antitrust investigation into the development of Lyme disease treatment guidelines by the IDSA. The investigation found significant flaws in the IDSA guidelines development process, including uncontrolled conflicts of interest by panel members, a paucity of evidence, over-reliance on the panel’s ‘expert’ opinion, exclusion of competing viewpoints, failure to acknowledge legitimate controversy, and failure to subject guidelines to broad external review or comment. The IDSA focused on the fact that the medical validity of the IDSA guidelines was not challenged, and cited mounting legal costs and the difficulty of presenting scientific arguments in a legal setting as their rationale for accepting the settlement. A journalist writing in Nature Medicine suggested some IDSA members may not have disclosed potential conflicts of interest, while a Forbes piece described Blumenthal’s investigation as “intimidation” of scientists by an elected official with close ties to Lyme advocacy groups. The Journal of the American Medical Association described the decision as an example of the “politicization of health policy” that went against the weight of scientific evidence and may have a chilling effect on future decisions by medical associations. And guess what? Also problematic are the blood tests for Lyme. Currently, there are no blood tests that can be considered 100 percent reliable. The only reliable, definitive, diagnostic marker of acute Lyme is the bulls-eye rash, and as mentioned previously, many people will an acute infection will not present with one, or the rash may be atypical and therefore missed. For an in-depth look at the available diagnostic tests, see here. The Persistence of Lyme Disease After Antibiotic Treatment? And as for the question whether some people, even after receiving the accepted treatment for Lyme disease (i.e. they took antibiotics), REALLY have symptoms that persist? A study from Johns Hopkins University found that six months after Lyme treatment, 36 percent of patients reported new-onset fatigue, 20 percent reported widespread pain, and 45 percent had neurocognitive difficulties. And wait – check this out. A study done in 2012 showed that after treating monkeys with antibiotics (monkeys that were infected with Bb and showed a disseminated Lyme disease infection) STILL had spirochetes after antibiotic treatment. In other words: 1). Non-diseased monkeys were infected with Bb, the spirochete that causes Lyme disease. 2.) The monkeys were given antibiotics, which should, according to some theories, have cleared them of Lyme disease. 3.) Non-infected ticks (ticks with no Bb) were allowed to feed from the monkeys. 4.) When those ticks were examined, Bb spirochetes were found. To hear that episode, see here. Stephen Harrod Buhner’s book, Healing Lyme, is one of the most informative, well-researched books I’ve come across in my search to learn more about Lyme; the references in the bibliography are extensive, with over 3000 citations. In his first chapter, Welcome to the Lyme Wars, he shares his thoughts on the existing controversy. Feelings have regrettably reached religious intensities among many. It has become, in most instances, a rather vicious conflict between different groups of specialists, all with differing paradigms, in all possible combinations: medical/medical, medial/herbal, and herbal/herbal. Caught in the cross fire are those with Lyme disease who are trying to understand what is happening to them and struggling to discover how to best deal with it. This is, in my opinion, reprehensible. The point, as too many healers have apparently forgotten, is finding the most effective way to help people heal. The purpose is not to be right about one’s pet treatment regimen or belief paradigm. The Lyme and Tick-borne Diseases Research Center was established as the first academic research center in the country to focus multidisciplinary research on chronic Lyme disease. In recognition that a growing number of patients experience ongoing or relapsing symptoms after having been treated for Lyme disease, in recognition that diagnostic tests often do not provide definitive information regarding the presence or absence of infection, and in recognition that there are multiple possible mechanisms by which symptoms persist, the mission of this center has a particular focus on identifying better diagnostic assays, better treatments, and a better pathophysiologic understanding of the mechanisms of symptom persistence. And at the risk of sounding like a broken record – guess what? The debate does not stop here. The prevalence of Lyme disease is even controversial. In 2009, the C.D.C. reported 38,000 cases (three times more than in 1991), but many researchers argued that the true number of infections was five to ten times higher than that number. And in fact, in 2013, the CDC changed their estimate. This particular piece, written by Michael Specter in 2013 and published in the New Yorker, is an attempt at an overview of the existing controversy; in the article, he consults with various Lyme experts who disagree with one another. (In my opinion, the most bullish and unsophisticated of all the people interviewed happens to be the chief of the division of infectious diseases at New York Medical College, and the lead author of the IDSA’s guidelines for Lyme). Near the end of his piece, Specter wraps up his story on Lyme with a captivating but troubling comparison of current day Lyme activism with early AIDS activism. If you want to start reading the research, I’ve found the following open access journal papers to be very informative. (Of note: Pamela Weintraub’s book, Cure Unknown: Inside the Lyme Epidemic, is a book known for impeccable research and captivating investigative journalism. Weintraub is Executive Editor at Discover magazine whose son became ill with Lyme disease). Anyway – here’s some research for you. Berndtson, Keith. Review of evidence for immune evasion and persistent infection in Lyme disease, International Journal of General Medicine (2013) 6:291-306. The last paragraph of this paper? Based on well-designed post-treatment animal studies and ongoing delineation of Bb’s mechanisms for host immune evasion and persistence, we can reasonably conclude that some, possibly many, chronic LD patients suffer from symptoms related to persistent infection with Bb. As inevitably happens in the evolution of scientific ideas, new research proves that the reality is more complex than we thought, and the time has now come to move beyond the divisiveness of the past into a more reality-based paradigm for research, education, and patient care. The question is no longer whether LD can survive an antibiotic challenge in order to become a persistent infection. High quality studies show not only that it happens, but they also show how it happens, and why we should not feel surprised that it happens. Our task in the new era is to determine which patients suffer from persistent LD, and to keep pressing for evidence-based wisdom to guide the physicians called upon to treat them. This paper is also very informative.